I am working as Training Supervisor at Dubai Design District, Dubai. It would be a great pleasure for me to completing degree course from RIG. I sincerely thankful to the CEO, Principal, Faculty members for what I am today. Chef, CARNIVAL CRUISELINES When I joined RIG Institute of Hospitality, I never had imagined that I will start a career which will give me International Work Experience.Thanks to my Teachers and Management at RIG Institute, I am able to pursue a Dream career and seeing the world at the same time. I am working in the Galley Section (Kitchen Department) at Carnival Cruise lines and I see the best places in the world.During my learning at RIG Institute, I was given training in all the areas of Hotel Operations. But I choose to specialize in Kitchen. Studying at RIG Institute gave me a solid foundation for my career. I would like to thank my Teachers and the Management at RIG for this guidance. 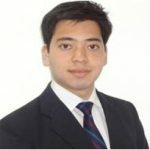 I am an I-grad management trainee in Intercontinental Hotel Groups. 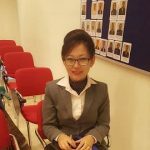 It’s a well-organized program and excellent training and after its completion I will be designated as Duty Manager. Behind my success lies the commitment and staunchness of Mr. Rohit Bhatia, the C.E.O and Mr. B.N Mohanty, the principal of RIG Institute of Hospitality and Management.RIG Institute had astonished me by its state of the art infrastructure, quality of study material and determination of the faculty members, who leave no stone unturned to groom and polish the youth brigade to take them to the level of elegance and sophistication that they can become the gleaming stars of Hotel industry.I would like to thank and give the credit of my success to RIG Institute and its faculty members for playing an vital role in shaping my future. To all the fellow brothers and sisters, who are eager to make their career in hospitality industry, I would assure them that if they are looking for the best then their ultimate destination should be RIG Institute”. 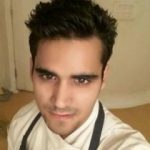 My name is Sumit Kumar currently working as a chef de parties at Hyatt regency New Delhi. I was very lucky to join rig institute in 2010 .this institute has taught me the professionalism of the industry . 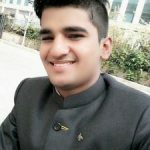 I am very happy to be a part of Rig institute. I wish rig institute with continued success and growth. 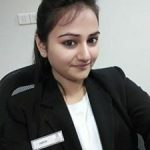 Guest Service Associate (Team Leader) in Front Office, J W Marriott Aerocity, New Delhi. I would like to say thank you so much to RIG Institute and faculty to taught me very well. Only because of them i am standing here. 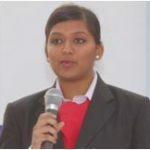 I started my career with Crowne Plaza New Delhi, Okhla as a Operational trainee in Front Office. Due to my hard work, punctuality and loyalty in my work and with my guest they promoted me Front Desk Associate in 6 months. 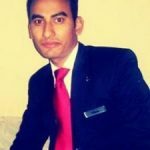 After completed 1.5 year in Crowne Plaza Today New Delhi, Okhla i join J W Marriott as Team Leader in Front Office at Front Desk. 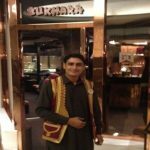 ITC Sheraton HotelVed Prakash is the youngest student ever selected by Bukhara Restaurant ITC Sheraton Hotel says his seniors.We are proud of Ved, he is a very hard working boy & that is why Bukhara selected him RIG Institute is proud of Ved & wish him a lot of success in his life. Greater NoidaFrom the moment we come to being, we begin learning… From learning to sit, stand, crawl and talk, the learning never stops. RIG institute has been the organisation for me to learn and develop myself giving me a platform to grow more than I could ever imagine. I always owe the beginning of my career to my CEO and wonderful faculty for recognising my potential and nurturing me to be all I am ! HOTEL PULLMAN, Gurgaon My educational journey started at RIG Institute, Greater Noida .In order to get a first class education to start, I got excellent enviroment, excellent practicals rooms and almost every things was there what ever I see in hotel and I am very thankfull to our faculty who where always helping us anytime , anywher . I am highly obliged to RIG Institute that helped me to get the job in international chain HOTEL PULLMAN, Gurgaon. 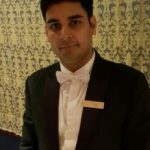 I am Kunal Baghel working as Assistant Manager in Front Office at Exclusive Hotel, Dubai. 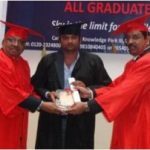 I am thankful to the RIG institute for enhancing my skill and knowledge in these 3 years. 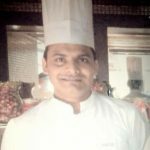 Jr. Sous Chef, THE IMPERIAL, NEW DELHI I was very lucky to join RIG institute in 2007 and in 2010, I successfully secure a job in the Imperil New Delhi and I got direct appointment as “Management Trainee”.I am thankful to the RIG institute to enhance my skill and knowledge in 3 years. RIG has excellent labs, advance kitchens, committed & qualified and experienced team of facility. Throughout the 3 years, I have been trained almost in 5 kitchens in the RIG institute by chefs with International work experience. Once, again I thank to RIG that I was amongst the 10 students all over India who was selected by The Imperial New Delhi as “Management Trainee”.The credit of my success goes to my institutes C.E.O Mr. Rohit Bhatia, Prof. B.N.Mohanty and each and every member of RIG family. UNIVERSITY OF ULSTER, BELFAST AT UK I choose to take up B. Sc. (Hons) in International Hospitality Management which is a 2+2 course offered by RIG Institute of Hospitality and Management. In this course I did 2 years in India and last 2 years at University of Ulster, Belfast at UK.Best years of my student life were spent at RIG Institute, where I learnt a lot under the guidance of the esteemed faculty members which were supportive throughout.I would like to thank Mr. Rohit Bhatia, CEO, the management and the faculty members for giving me this opportunity. “Hi, I am a Passionate Pullman Person. I work with Pullman Gurgaon Central Park, which is associated with one of the most leading hotel chains in the world called Accor Hotels. Pullman is their young and stylish brand, and I am Proud to say that I work as Management Trainee with their first hotel in India.RIG Institute of Hospitality and Management, wow, the journey was amazing, won’t say much because this little block won’t be able to print my whole experience but yes won’t miss this chance to say that these 3 years I got the correct knowledge, mentors, guidance and Path to move to a life I’m living today.The Institute saw my skills and abilities, appreciated my positives, guided me with my negatives and made me the person who am I today. I thank each and every person of the Institute who believed in me that I could achieve success and trust me; I will always make my Institute proud. Cheers”.